Dead or Alive 6 is a fighting game that is available to play on Xbox One, PlayStation 4 and PC. The game was released on 1st March 2019. 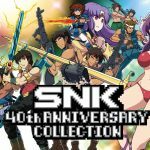 It was developed by Team Ninja and published by Koei Tecmo Games and can be played either in single-player or multiplayer. Dead or Alive is a huge franchise, which includes a film. The franchise started in 1996 with the first Dead or Alive game. 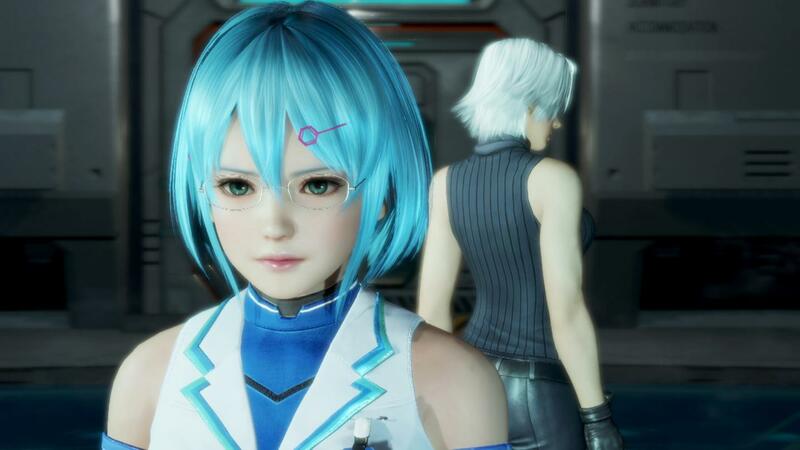 Dead or Alive 6 Story Mode is split into short scenes across different chapters. As you complete scenes, new ones will be unlocked. You can complete them in whichever order you choose. Most scenes contain a fight that you must win in order to progress, which allows you to sample all of the different characters. The story, as it has been in the previous games, is focused around the Dead or Alive tournament. It also tells the story of a mysterious and sinister plan whilst the tournament is in motion. I thought the layout of the story mode, with it being split into short scenes, felt quite messy and unorganised. I enjoyed the fact that you can choose in which order to complete them, but I felt like I never knew where I was up to. Each scene is also extremely short. I think it would have been better to less the number of scenes by half and extend their length. Because the scenes were so short, I felt like I spent a lot of time waiting for the scenes and menu to load. Another option that is available in this game is the Fight Mode. In this mode, players can choose their favourite characters and test their strength. When you select the Fight option from the menu, this brings up a sub-menu. 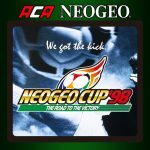 From there, you can choose Versus mode, which is against a second player, Arcade mode, which is like a mini-tournament, Time Attack, which is against the clock, or Survival mode, which is one fight after another to see how long you can last. With the majority of these modes, you can select how difficult you want the fights to be. The great thing about the Fight Mode, is that it offers quite a bit of variety and choice. As you complete fights, you gain experience points that can be used for your favourite characters. It also allows you to unlock extra rewards. It can be quite challenging as well, which is great. Other than the two main modes that are available, Story and Fight, players have other choices. These include DOA Quest, Training, Online and DOA Central. 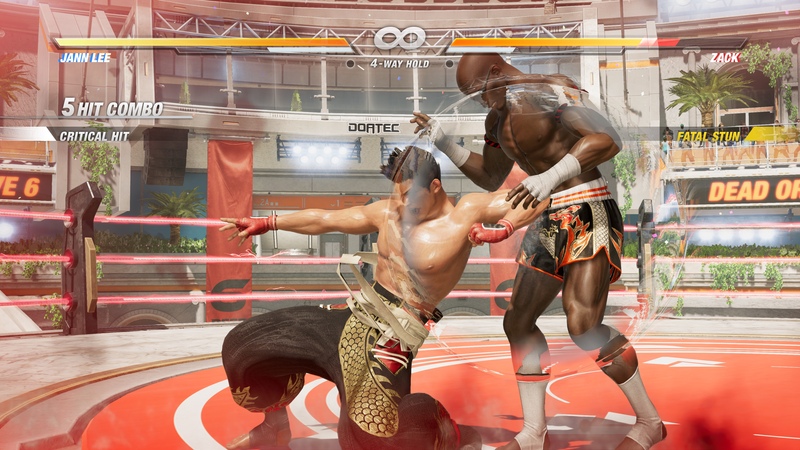 DOA Quest is where players can enjoy fighting whilst hitting set targets to win stars. The more stars you win, the more Quests you unlock, as well as extra rewards. Training is self-explanatory. If you want to practice playing as your favourite character before entering into an actual fight, Training is where you can do that. The Online mode is where you can play against other people instead of the AI. 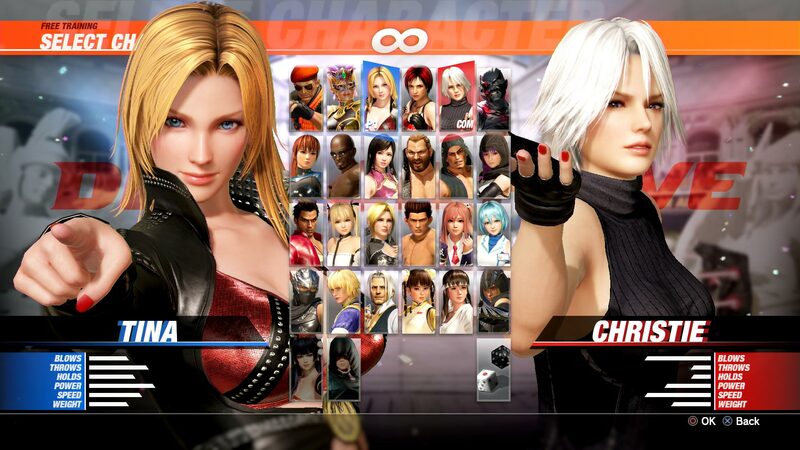 DOA Central is where players can customise the fighters. You can choose from different outfits and different accessories. Some are restricted and are unlocked from the purchase of DLC, whilst some can be unlocked just be completing fights. You can also build up coins from playing the game, which can be used to purchase new items. Whenever you start a fight outside of the Story mode, you can choose from different outfits and accessories that you have available. In DOA Central you can save a customised character as a loadout so that it is prepared for when you use them in a fight. To unlock a lot of the outfits and accessories, you will likely have to put in a lot of work and time. Not long after playing the game for the first time, I went into DOA Central and was excited to see that there were so many items to use for customisation. I had a good look through what would be available when I unlocked the items, and there is a lot to choose from, although it would have been nice to have a few different items already unlocked. That way, you can make some changes straightaway, but I guess it gives players something to aim for. The great thing about Dead or Alive 6 is the amount of choice. Even at the beginning of the game, you get the choice of disabling depictions of blood and violence. This is great for people that enjoy the combat but without the blood and gore. There is also a large amount of choice when it comes to game modes, as you can probably tell. Even the way the story plays out is down to the player because you can choose which order you complete the scenes. The game also offers players customisation for their fighters. Even though it takes a bit of work and effort to unlock the different items for customisation, the number of different items that are available is more than I had expected. 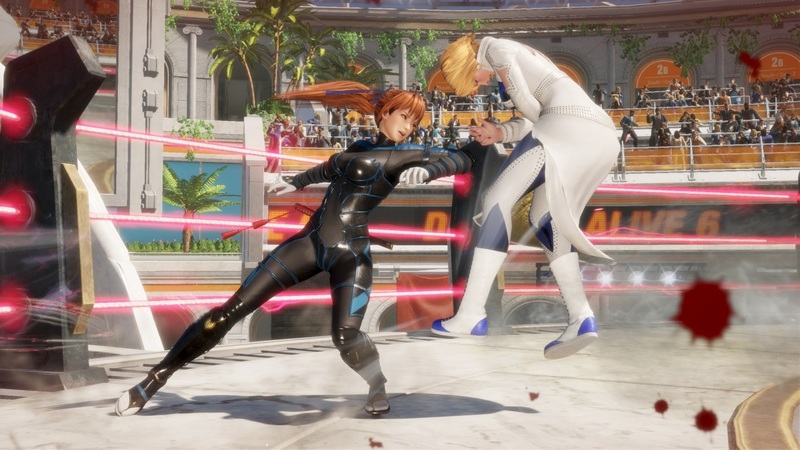 The biggest issue with Dead or Alive 6 is how messy and unorganised it feels, especially with the Story mode and the layout of the scenes and chapters. As I have mentioned, It would have felt more organised if the scenes were fewer but longer. I also felt like I have spent a lot of unnecessary time in loading screens. Another issue that I have found is with the combat itself. I feel like there is little variation with the fighting moves that are available. Don’t get me wrong, there are different styles of fighting for each character’s specialty, and it looks different for each character, but there is no combination of buttons to use or different buttons for different abilities. You have your main button commands like punch, kick, grab and block. There is one button to use for a special ability, and you just press that same button multiple times. In a nutshell, the execution of fighting moves is just too easy, and it is extremely repetitive. Dead or Alive 6 is a very fun fighting game. It has some great attributes, like the graphics, the customisation and the choices you get to make. With that being said, there are a few issues. This mainly lies with the organisation of the game, the combat, as I have mentioned, and a lot to do with the game feeling too easy. You can make the game challenging for yourself by playing online or increasing the difficulty in Fight mode. The difficulty cannot be changed in the Story mode though. The cutscenes within the game are extremely short, and it feels like you are spending more time waiting for loading screens than anything else. As a woman, I also feel like I have to mention the blatant sexualisation of the female characters. This is a common theme with the Dead or Alive games, and I understand that it will not change, even though it has always been an issue for female players. 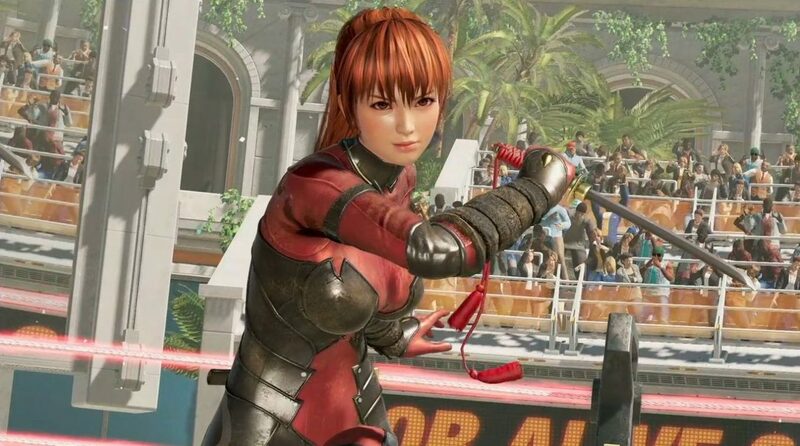 Overall, I feel like Dead or Alive 6 is a good addition to the franchise. I can see myself going back to it so that I can play it with my friends. I would imagine that the versus mode will be great for game nights so that we can see who among us is the toughest, or should I say does the most button bashing. 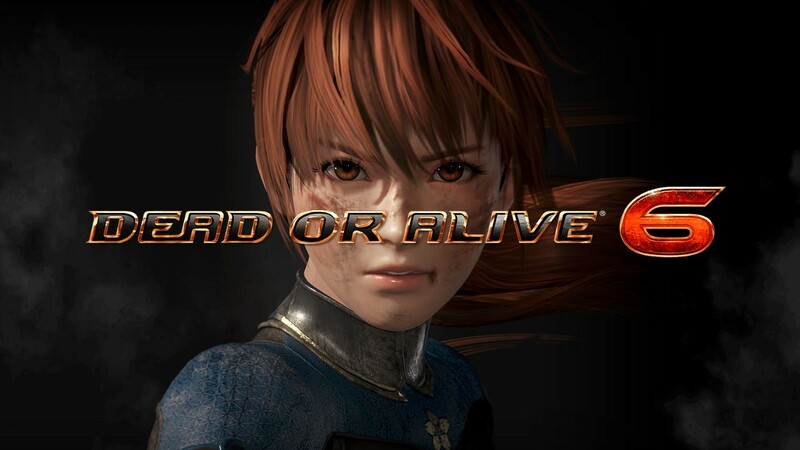 Dead or Alive 6 is a fighting game that can be played solo or multiplayer. The game focuses around a lot of choice and customisation, as well as being fun to play with great graphics. The game is not without its issues, and a lot of them are caused by lack of organisation and the game being quite easy, but the game still has a lot to offer and is a good addition to the franchise.